Pro-Chancellor, it is my pleasure to introduce Anya Shrubsole, MBE, who is currently Vice Captain of the English women’s World T20 cricket team. Anya is one of Britain’s greatest women cricketers who has excelled not only through her achievements on the sporting field, but also off the field as a role model for future generations of athletes. Born and educated in Bath, Anya attended Hayesfield school and then went on to complete a degree in psychology at Loughborough University. In 2017 Anya made her mark on the history of British sport through an outstanding bowling performance that resulted in England winning the ICC Women’s World Cup final against India at Lord’s. I was fortunate to be at Lord’s that day to watch an enthralling match as Anya took five wickets in 19 balls, and six for 46 in all, giving her the best bowling figures in a women’s world cup final. While England won the Trophy, the other winner in the global context of sport was women’s cricket – from the players occupying centre stage at Lord’s, to the record breaking 100 million televised spectators, and sell-out crowd whose enthusiasm bolstered the thrilling atmosphere of the match. This moment symbolised an historical turning point as women’s cricket gained the respect and public recognition that it has long deserved. Anya became central to this historic narrative after a particular Tweet went viral across social media and was picked up by multiple media outlets. Ian Shrubsole tweeted a photo of his daughter as a nine-year-old watching him play at Lord’s 16 years earlier and dreaming of walking out on the hallowed turf in a World Cup final. Trending commentary and video clips of matches on social media significantly influence how journalists respond and subsequently direct public attention to women’s sport events, which are still vastly under-reported. 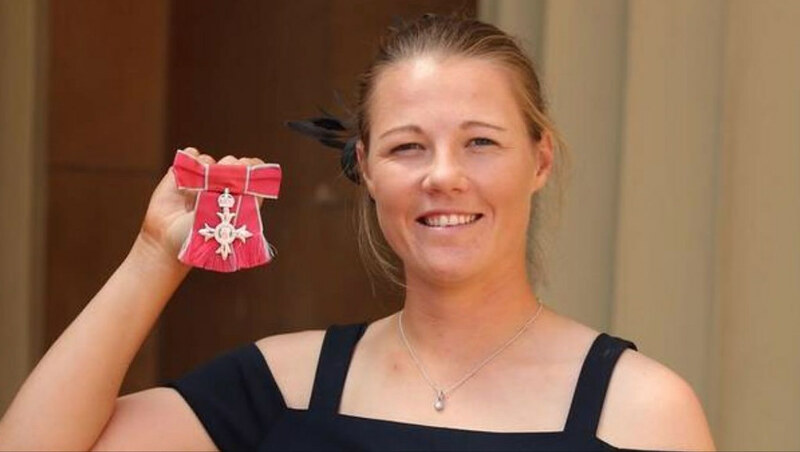 In the same year, Anya was awarded an MBE for her contribution to cricket and her achievements have been acknowledged with numerous individual and team awards. She became the first female cricketer to receive the receive the Christopher Martin-Jenkins Spirit of Cricket Award for outstanding sporting conduct. Instead of celebrating after hitting the winning runs in a highly dramatic match, Anya consoled a distraught Dane van Niekerk after the ICC Women’s World Cup semi-final. She was part of the BBC Sports Personality Team of the Year award (and received an individual nomination) and received the Bath Chronicle Professional Sports Personality of the Year award. In 2018, she became the first woman to appear on the cover of Wisden Cricketers’ Almanack. Growing up Anya was an all-round sportswoman although cricket became her passion and offered a clear pathway for progression. Her father, Ian, said that ‘Our three kids would play garden cricket endlessly in our backyard. It was two runs if you hit the rabbit hutch and a skateboard was the wicket’. She went on to play for Bath where her development as a player was supported at a time when the women’s game had nowhere near the profile that it does today. She was the first girl to be selected for the Somerset Academy at 13. Her England debut came in 2008 as a 16-year-old and she won the match award in her first Twenty20 international nine days later, but injury slowed her progress. The most important phase of Anya’s development occurred during the World Cup in India 2013 when she began experimenting with her bowling style and discovered the power of her lethal 70mph in-swingers. However, Anya also faced challenges and in the early stages of that successful 2017 World Cup she took a single wicket in her first four games. She was able to turn around her disappointment by learning how to play through the inevitable ups and downs of sport. Anya has demonstrated her leadership capacities through sport in many ways and as a public role model she continues to inspire the next generation of girls to pursue sporting ambitions, and boys to appreciate women’s sporting talent. Pro-Chancellor, I present to you Anya Shrubsole, who is eminently worthy to receive the degree of Doctor of the University, honoris causa.